Pump Engineering Co. provides repair, service, and maintenance services for horizontal split case (HSC) pumps for our clients in Southern California, whether at your worksite or in our facility. Horizontal split case centrifugal pumps feature one or more suction impellers positioned between two bearings, while the suction and discharge nozzles are positioned in the bottom casing, opposed to each other. This design allows for horizontal mounting, though you can opt for a vertical split case pump for vertical installation. Most our clients choose horizontal split case pumps for higher flow rate applications that are not suitable for end suction pumps, such as fire pumps, portable water distribution, plant make-up water, pipelines, cooling water, and other industrial process flows with fairly thin fluids. HSC pumps are not suitable for transporting thick or viscous liquids, as well as those containing solids. Pump Engineering has earned a reputation for distributing high quality horizontal split case pumps for various industrial and commercial applications. Our highly skilled and experienced engineers and technicians will ensure that your pump is properly installed for optimal operation and to allow for the necessary maintenance and service work with no hassle. 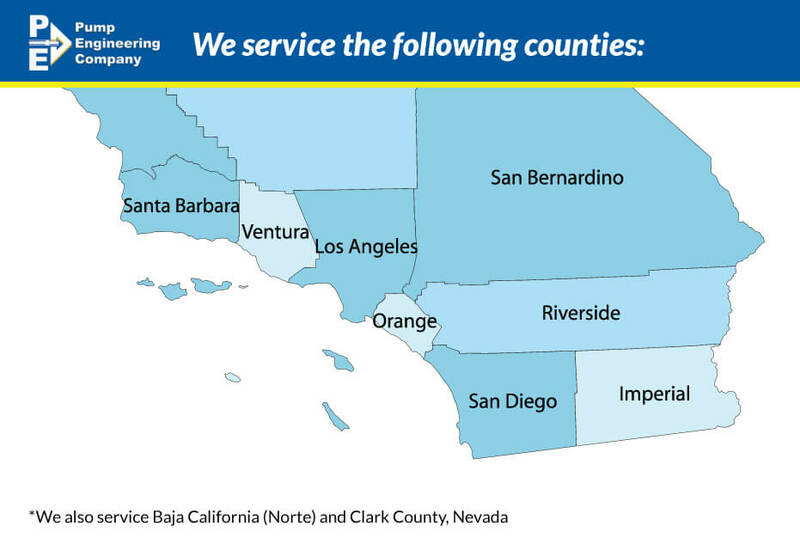 Since 1946, Pump Engineering Co. has been installing, maintaining, rebuilding, and redesigning horizontal split case pumps for our clients in Southern California. With our highly skilled and proficient technicians and engineers and decades of experience in the industry, we understand how prolonged downtime can hurt your business. That is why we provide 24/7 services to help get your pump back in service as fast as possible with the expected level of performance and reliability. If you have determined that your application needs a horizontal split case pump, contact our sales professionals today to help you narrow down your options and get the right pump for your specific needs. We’ll also come up with a regular service and maintenance schedule to maximize the efficiency and longevity of your equipment.